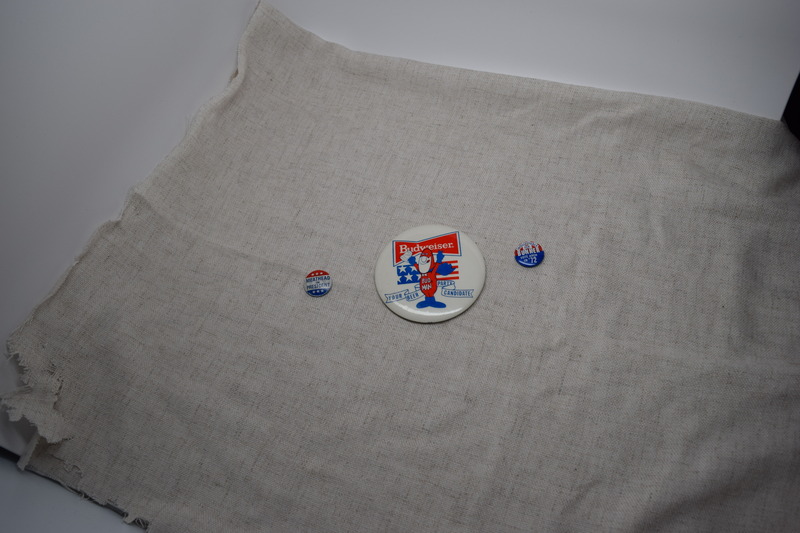 Three farcical campaign buttons popular during the 1972 presidential campaign. The buttons on the left and right were part of a series of unlicensed buttons using a popular television character named Archie Bunker from the television show “All in the Family” to spoof the 1972 presidential campaign. 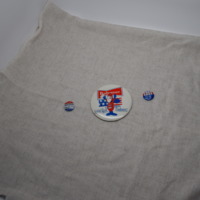 “Farcical Campaign Buttons,” UIS History Harvest, accessed April 26, 2019, http://uishistharv1.uis.edu/items/show/167.